“I,Too, Am a Dancer!” tells the story of a young girl of color who is hard of hearing and full of confidence. Anika is a young girl of color who is hard of hearing and full of confidence, and, of course, the central character. It was a different approach from what Ffriend had seen in other books about people with disabilities. “When I was researching other books, I saw all these common themes: the person with the disability was the secondary character; the person with disability always needed aid; the person always would be used to push the main character as being this good citizen,” says Ffriend, who is pursuing studies in education and disability studies in the School of Education. 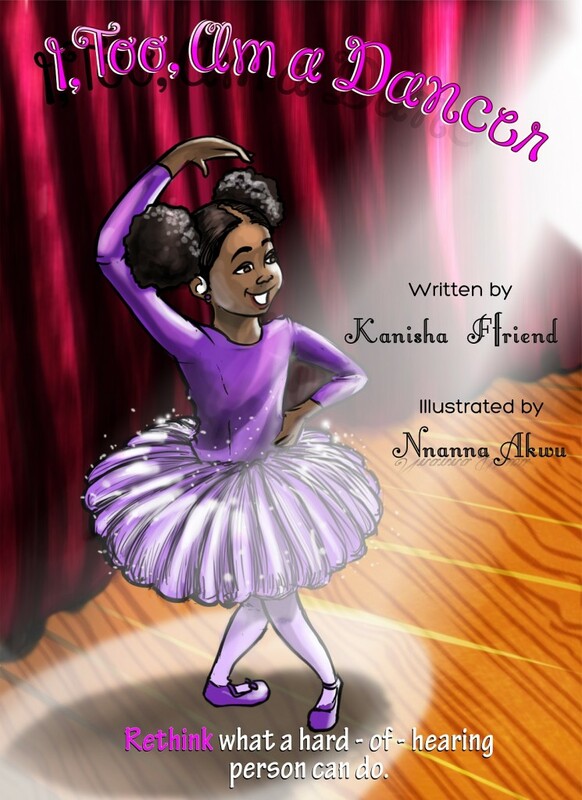 In the 30-page picture book, which was released in June, Anika is at first made fun of by her classmates when she says she wants to perform as the dancer in the school play. Anika, who communicates via American Sign Language, helps her classmates to practice compassion and shows her dance moves, using her body and senses to feel the beat of the music. The book, which can be found at Ffriend’s website, http://www.blackgirlwrite.com, includes a lesson plan and activities for teachers and students. Ffriend started working on the book while in high school as part of a scholarship competition that involved writing a children’s story about an underrepresented community. She became interested in writing about someone who is hard of hearing after seeing a television program with a disability storyline and a reality show that included actress Marlee Matlin, who is deaf. She ended up not submitting the book after realizing even if she didn’t win the scholarship the organization would still gain the rights of the images and content. The book was put on hold but revived after she arrived at Syracuse. Ffriend became involved in the Disability Student Union, which she noticed at the Student Involvement Fair. She also found a mentor and friend in Diane R. Wiener, director of the Syracuse University Disability Cultural Center, who encouraged her to explore opportunities at the Disability Cultural Center. “I started working with her and with a lot of the programs at the Disability Cultural Center,” Ffriend says. “While I’m learning about all these things about disability, I looked back at my book.” She had more of a critical eye into the disability community and reworked the book into a more positive light. “I added more elements of teaching and understanding and changed the character a lot,” Ffriend says. 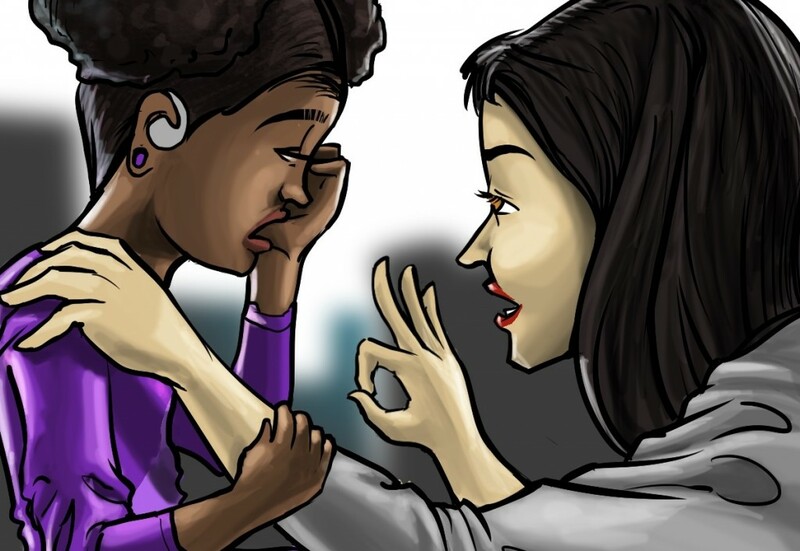 Ffriend then connected through an online service with a freelance illustrator from Nigeria, Nnanna Akwu, with whom she worked for about two and a half months just to get her vision of Anika correct. That just left the need for funding. Ffriend shared the book idea with people she met and was encouraged by their responses and ideas. 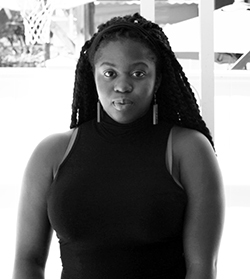 She heard about the Raymond von Dran IDEA Awards competition, held at the Whitman School to provide seed funding to student ventures, and entered the social enterprise category, which she won. Wiener calls Ffriend a writer, entrepreneur and activist who was resolute in bringing the book to publication. Ffriend, who is from the Bronx and presented her work during New York City’s Disability Pride Parade July 12, still has a year left at Syracuse, but has plans in place for after graduation. She has already been accepted by Teach for America to teach in 2016 in Charlotte, N.C.